I was able to take a year off work after my daughter was born and come back even stronger thanks to Trailhead. My first encounter with Salesforce was at a job interview in 2006. I was 20 years old, working at a pizza place, studying Economics, and looking for a new gig. I came across a job posting to help a non-profit I was fond of called Idealist.org. The ad listed the job title as “Data Cleaning Position” or something similarly bland. However, I was ready to do just about anything for the opportunity to work there. During my second interview they had me do a hands-on Salesforce exercise: create a campaign, create the member status, and upload some leads to Salesforce. It was my first time on Salesforce and I still can picture the look of pre-classic Salesforce like it was yesterday. I was so nervous, but the platform was easy and friendly. I got the job. How long did you have that first Salesforce job? It was a six-month contract to clean two million records and import them to Salesforce. Fortunately, I was able to complete the work in only two weeks thanks to a data quality and cleansing toolset that was donated to us. When I told my boss I had finished my task early, she told me to study up on Salesforce and find out how Idealist.org could improve their implementation and usage for the 100 users they had. And so, I did. And fell in love with all of it! 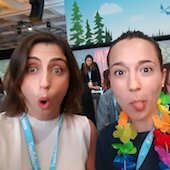 You got into Salesforce a while ago, what motivated you to start learning on Trailhead? 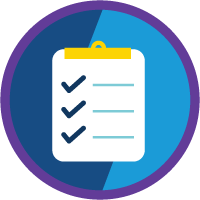 Salesforce is expanding all the time, and Trailhead gives me the opportunity to learn about all the different product offerings, at different depths depending on what I need. 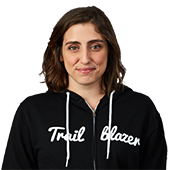 It's important that people know that Trailhead isn't just for beginners. For example, if I want to know more about what Lightning is, I can earn a badge called Lightning Experience Basics. Then if I still want to learn more I can dig deeper into the other trails like Make the Move to Lightning Experience. And if after all that, I want to test my knowledge further with a real-world use case, I could even earn the Lightning Experience Specialist Superbadge. When did you start feeling confident in your Salesforce knowledge? When I moved to Canada five years ago, I thought I was going to have to reinvent my career because I “only” had five years of experience as a Salesforce Consultant in Argentina. Because I didn't know the community or to be honest, anyone that did Salesforce outside of my former team, I had no idea about the demand for Salesforce skills. Long story short, I had two amazing job offers within a week of arriving in Canada. Since then, I have moved to four different cities where I was always able to work and meet amazing Trailblazers. Being a Salesforce pro lets me be the "digital nomad" of my dreams! What is your biggest “win” thanks to something you’ve learned from Trailhead? I was able to take a year off work after my daughter was born and come back even stronger thanks to Trailhead. 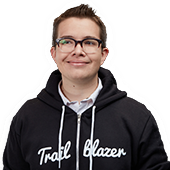 Because Trailhead is open to everyone, not just customers, it is the biggest equalizer. I didn't have to pay for a Salesforce license to be able to study. I was confident that I was going to be able to find work again if I just kept my skills sharp while on maternity leave. I would do micro-trainings of 20-minute units when my infant daughter was napping and one-hour study sessions of a whole module or project whenever possible. I am co-organizing a mentoring group for moms in Latin America called Academia Tribo. 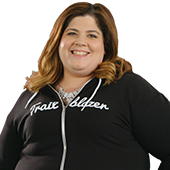 We're going to provide free training and mentoring to new moms that want to re-enter the workforce or re-invent their careers after maternity leave using Salesforce and Trailhead. I was a freelancer and moving continuously, I am a slow nomad, or a serial mover. The Trailblazer community is my work-related anchor. The first thing I look for in a new city (other than a good vegetarian place to eat) is if there is a user group I can attend. I usually think of my Salesforce community as my co-workers, we're all working together to build a bigger and better Ohana. It's the community where I can grow, find support, and help others. Also, to all the non-native English speakers out there: Salesforce is global, the Trailblazer community is global, and both are open and welcoming to everyone. Everyone always talks about the Trailblazer who is building the path for others, going first, and showing new ways of doing things. I like to think that a Trailblazer is also the person at the back of the group, who is helping those slower than they are, making sure no one is left behind. I would like to change the concept of Trailblazers as leaders and instead shift it towards being about facilitators. Don't only think about how to lead in the community, but also how to help others. Sometimes we can help by stepping back to make room for others to shine or to find their own way of doing things. Salesforce is both a technology and a community. 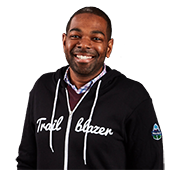 If you want to learn Salesforce, joining the Trailblazer Community online and in person through user groups and events is the best thing you can do. There's a reason everyone suggests this and there's a reason people love being part of the community so much. Sometimes, in the beginning, you don't even know the questions to ask. Start reading other people’s questions. Soon enough you'll have some questions or even answers of your own to share. What's in your survival kit? Talent you'd most like to have? I definitely credit Trailhead for teaching me how to code on Salesforce. I was able to quickly skill-up on Salesforce and become a leader on my team and earn my Admin cert because of Trailhead, not too shabby! I’m constantly inspired by the Salesforce community and how genuinely everyone cares for each other.